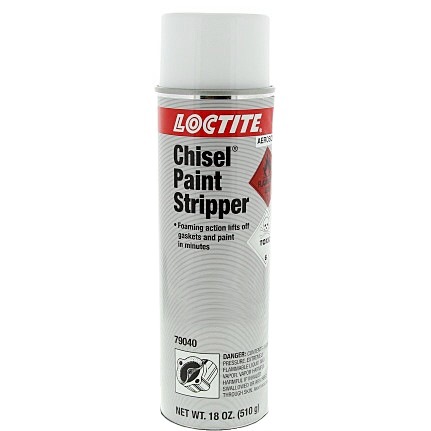 Loctite® Chisel® Paint Stripper removes gaskets from any type of assembly in 10 to 15 minutes. Prepares metal parts for new gaskets, eliminating scraping and sanding. Works on wood; non-corrosive on aluminum. 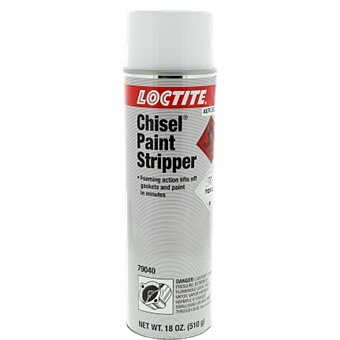 Not for use on plastics, linoleum, or synthetic fibers.